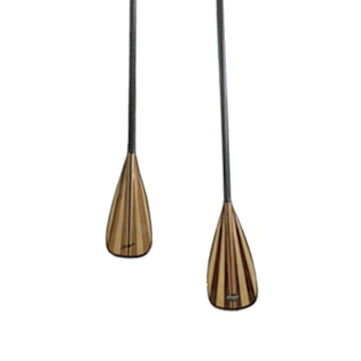 The Sawyer Rip 1 pc Stand Up Paddle blade was designed for active paddlers in a surf environment, but also accommodates flat water paddling as well. A fan profile and dual scoop/dihedral power face enforces the blade by putting the maximum blade area at the tip. The blade features a laminated wood core reinforced with fiberglass, a Dynel Tough Edge around the perimeter of the blade, carbon fiber technology and a very solid no-flutter catch. Blades are longer and narrower than traditional for their areas making them extremely smooth pulling through the water. 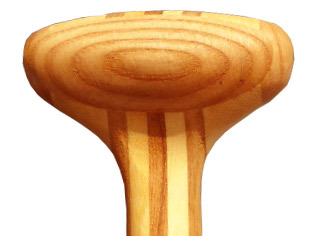 A Dihedral back for steady smooth, flutter free power glide.Features a 95 sq in (7.375" x 16.875") or 105 sq in (8" x 17.75") blade size depending upon your weight. 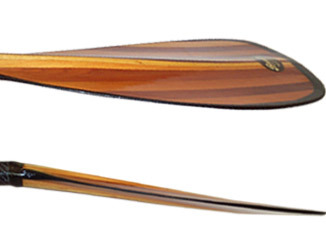 Twenty years from its founding, 1987 brought Sawyer Paddles a new helmsman; Bruce Bergstrom. An experienced rafter and kayaker, Bergstrom added new ideas to the solid legacy left by Ralph Sawyer. Expanding the line and reaching new customers with new models and designs, Bruce soon found the company outgrowing its roots on the banks of the Rogue River. In 1991 Sawyer Paddles & Oars moved to its current larger and better equipped facility. They are located in the Rogue River Valley, just off Interstate 5 in Talent, Oregon at the base of the beautiful Siskiyou mountain range. Bergstrom has added to the line with new lightweight materials like fiberglass and graphite composites, which increase the value through weight reduction and strength. 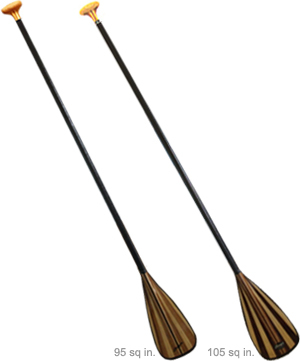 The MX-Series of premium composite oars have shown themselves to be the best available, as proven by the thousands currently in use by recreational and commercial boatmen world wide.